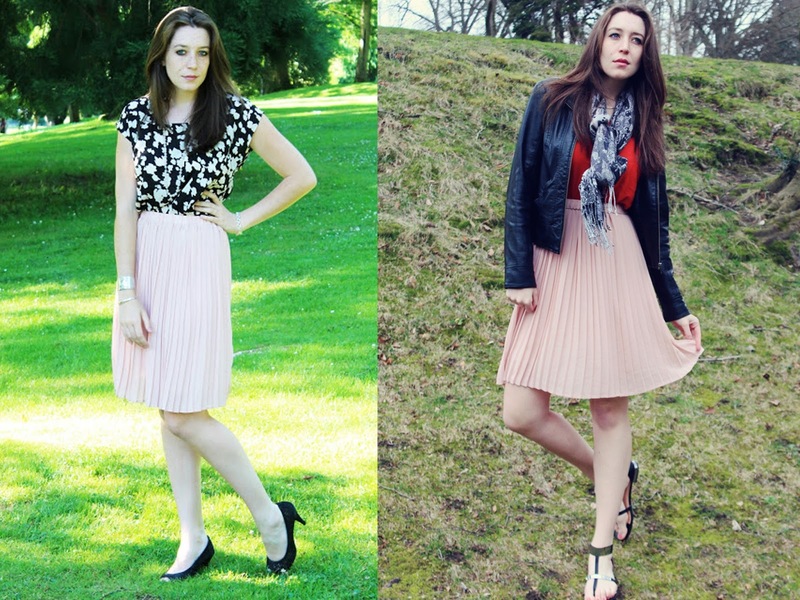 I took these photos on my grandmother's porch overlooking the Puget Sound on the first day I got the skirt. My lovely Mom (and my self-timer before my Mom showed up) took the pictures and she did a pretty passable job, considering her usual framing/rule-of-thirds woes. I got the top at the same boutique mentioned above and the entire outfit said ballerina summer to me. It's definitely my favorite way to wear the skirt and has me aching for a warm summer again. The two different outfits above were both kind of "meh" outfits for me, hence the detail shots. I love the way the skirt looks with a cable-knit white sweater but it didn't photograph particularly well in the misty fall day. I do love that the skirt was translatable into summer with a sweater and coat pairing. The second photo, on the right, featured my sky-high Steve Madden heels and a scalloped blouse that wasn't tucked in. I don't know how much I like this skirt without a cropped top or tucked in blouse, but I did love the way light was streaming in, illuminating it. I think that both of these looks were pretty successful. The first featured my cow-print blouse, a rose quartz strand as well as some silver jewelry, and Anne Klein heels. I loved the way the black, white and blush played nicely together on a warm summer day and feel like this is the perfect outfit for summer work - light and breezy but still put together. The second look, and most recent remix, was an attempt to greet spring early and to add some edge to a girly skirt. Paired with my Limited jacket, some Prabal Gurung sandals, and a black printed scarf, I think I achieved just what I wanted. I think this was the perfect late winter, early spring weekend look incorporating the skirt. This skirt isn't available, but Urban Outfitters has a great maxi pleated pink skirt you may want to check out if you're in the market. Ooh I love this color and all the pleats... so great! I'm totally a clothing "re-mixer"... that's how I roll! I am obsessed with this skirt!! so beautiful!! Oooooh I love this! Sooo pretty! Love it! You do such a good job at keeping it both elegant and fun! Gorgeous skirt and I love all of the looks. I actually really liked it with the chunky sweater too. Lovely skirt! I love the different ways you wore it! I love pleated skirts. They are so flattering. You look amazing! If you get a sec, check out my latest post 'Channeling Audrey'. I would love to hear what you think. This skirt is so pretty and feminine <3 I love the way you've styled it! I think I need to learn how to reuse items in my wardrobe too. The skirt is a gorgeous color, love how versatile it is! THANK YOU. I have the same pleated skit and I am always thinking of new ways to wear it. Okay, I own it in four colors. It's such a lovely and versatile piece. You can wear it with everything. Love the color of your skirt, pastels seem to be the hue of the season! I am in love with this skirt, I have mine in dark green. Just found you via a comment you left on Mara's blog. :) I'm following. Happy shopping hours as offered by the contents of the link www.rightshopping.in that comes loaded with all the priority and useful products that are being complemented with free shipping facilities.Online Shopping in India is possible from anywhere in India with this link. Love all the ways you wore it. 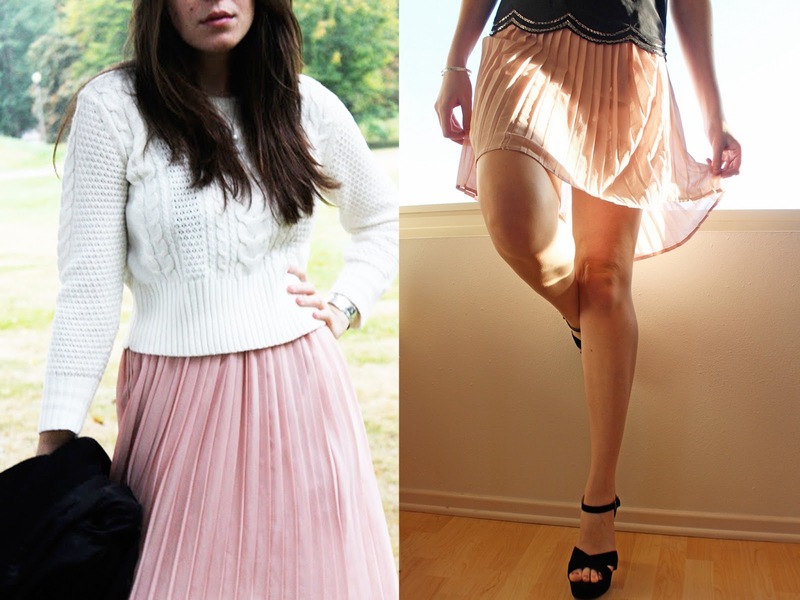 I have a pink pleated skirt and I will be drawing inspiration from you next time I wear it. 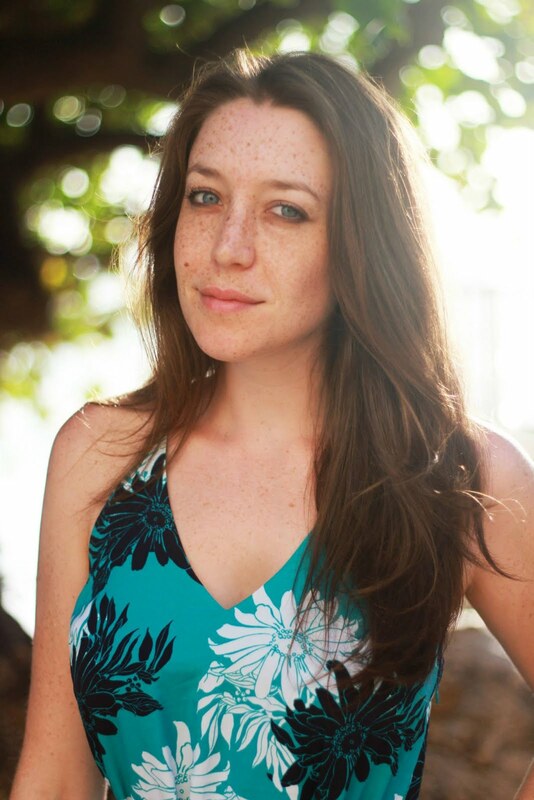 I would like to thank you for sharing your thoughts and time into the stuff you post! !I’m of like mind with you on many of your points mentioned in this content. That's nice .